Popular British media Adesope Olajide aka shopsydoo says Davido was ‘born’ out of Wizkid. 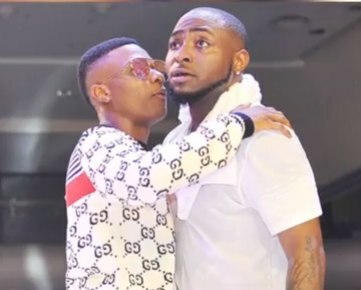 There has been renewed rivalry by fans of both Wizkid and Davido as to who is greater. The debate ensued after Davido’s sold out concert in London’s O2 Arena. Speaking with DJ Abass, Shopshydoo noted that the success of Wizkid inspired the likes of Davido, Burna Boy and many younger generation of artistes who are doing great. Listen to him speak in the clip beneath.